With the change in weather comes a chance to get outside and get a good workout in while also enjoying the great outdoors! An easy way to get outside is instead of driving , walk, run or ride your bike. Headed to the BWC to workout, ride your bike, need to add some cardio to your workout head over to the waking path that is a mile long all the way around Wheatland Park. Need to pick up a few items at the grocery store, walk or ride your bike instead of getting in you car, dropping off books at the library, walk them over and get some great fresh air in the process. When you are in town try to walk or ride a bike as much as possible instead of getting in your car to run errands and you just might get some unexpected results. You can also make getting outside a family affair by playing a game of disc golf, soccer, football, tag or just going for a walk together. Having some family time outdoors is an easy way to get kids off their electronic devices and engaged in family fun. Have a dog, add them in to the fun by taking them for a walk or playing fetch. Already outside working out? Add some bodyweight exercises while you are out to increase the fitness benefits. Find a bench and do some step ups or tricep dips, at the track run the stairs. Get to a stop sign and do some jumping jacks or lunges. There are lots of ways to integrated some strength training into your walk or run. The most important part of getting outside is that you enjoy the time you are out and getting some sunshine and exercise! We all have stress in some form in our lives, rather it be from work, school, family or other daily obligations, it can wreck havoc on our well-being. Stress is not only linked to depression and anxiety it can also cause weight gain and other physical symptoms. Alleviating stress is a big deal and it is easier than you might think. Exercise is a great way to alleviate stress. When you exercise endorphin’s get released, and you get what some call a runners high. This uplifting experience makes you want to keep coming back for more. Our bodies natural response to stress is fight or flight, fortunately most of the stress we are under does not require a fight or flight response, however we still get that same rush. When you exercise that helps to release that natural response in a healthy way. 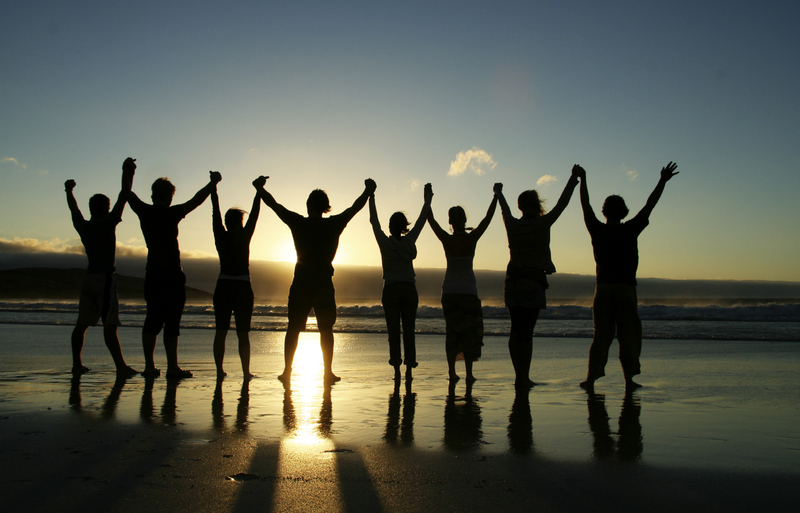 If you are doing an exercise you love with people you enjoy hanging out with it can make stress seem to disappear. For some sweating out the stress of the day with others is the best way to alleviate stress, for others this is just more stressful and they would prefer to go pound the pavement alone. Which ever your style and need get out there and find an exercise you love to do to help lower your stress level. Exercise helps you feel better by decreasing anxiety and feelings of depression as well as helping you sleep which has also been shown to help you feel better. Finding an exercise you enjoy and can schedule in at least 3 times a week preferably 6, is a great way to alleviate stress and help you feel better all around. If you made a New Year Resolution to lose weight and you have stuck to it this long CONGRATULATIONS you are 1 in a million , ok maybe not quite a million but it sure seems like it. For the rest of us, and for you to, here are some motivational tips to hopefully get you back on the workout horse or keep you going in the right direction. Make sure that you are scheduling your workouts, and keeping your appointments. It is easy to let others get in the way of your workout, make sure that you have sat down and scheduled in time through out the week to workout and don’t break those appointments. If you feel like your goal is totally unattainable or there is just to much weight to lose, go back to the beginning and start small. Yes losing 100 pounds in a month is totally unattainable and not realistic, however if you have 100 pounds to lose you could possibly lose 10 pounds a month. With that in mind do not rely totally on the scale. Just because you did not lose 10 pounds this month does not make you a failure and you need to check other improvements, such as, clothes fitting better, more energy and fitness gains. Has running become repetitive and boring and now you are dreading every workout? Change it up, come do a fitness class, get online and find a weight lifting circuit, try biking instead. In other words, if you are bored try something different and you might just find a new favorite exercise. If your motivation is lacking it can be hard to get off the couch, find something you enjoy doing set some attainable goals and you make sure that you set time each week to workout to see the results that will keep you going! Th is step should be the easiest to follow, it only invovles drinking more water. However this step can be easy to forget and not do. Drinking water is an easy way to lose weight and help your brain. Water can help you lose weight by making you feel fuller. If you drink a glass of water before you eat you might find out that you really where not hungry just thirsty and if you are hungry, then your body will feel fuller faster. Water can also increase your metabolism. When you are dehydrated your whole body slows down and you can not burn as many calories. Staying hydrated helps all of your body to function the way it should. Hydration is key for brain function as well. Have you ever noticed that sometimes it takes a little longer to process what is going on around you? You might be dehydrated. The body works together best when all systems are running smoothly and that takes water to hydrate some of your systems. Dehydration can cause memory loss and headaches. Adding some water, and not just caffeine to your day when your are running a little slow will help you to function better. If you are bored with water adding a little flavor helps. Start with something simple like lemons and then go wild with cucumber and mint or any other millions of combinations you can think of! We have started our fitness journey with 2 important steps, 1. nutrition and 2. exercise, this third step is probably the most over looked but important step, sleep. When we sleep our body repairs itself and ensures that it is working at its best. Sleep deprivation, even just an hour, can lead to weight gain. Getting in 7-9 hours of sleep a night is critical to brain and body function. When you sleep several hormones are released that help to make you feel satisfied when you eat, build the muscle that you tore down in the gym and help with overall well being and satisfaction in life. So that is great news that to help lose weight all I need to do is get a little more sleep…but how do I go about that, you might be asking yourself. Here are some tips to help you get to bed and get the sleep your body needs. Power down all electronics at least an hour before bed. The blue light that your phone, tablet, computer, TV cast interferes with your ability to fall asleep. Try to always go to sleep and wake up around the same time regardless of the day. This will help with your internal clock and you will be able to go to sleep and wake up fairly easily. Regular exercise helps but try not to do anything to strenuous 3-4 hours before bed time as it can make it harder to fall asleep. However exercises such as yoga, meditation or strength and stretch (Thursdays at 8 at MB church) can help to get you ready for bed and make falling asleep easier. Don’t eat a big meal before bed time, give your body time to digest before you go to bed. If you need a snack, make it small and at least an hour before bed. Sleep is an important part of our fitness journey don’t skimp on it! One step at a time is the best way to start a journey. On this fitness journey our first step was nutrition, hopefully you have had some luck with one of the tips from last week, or a healthy swap of some sort. Our second step is working out. There is lots of advice out there about how much, when, where and what you should do first. The best advice that I can give you is find something you like and go with it. If you are not enjoying your workout you are not going to do it, so find a class, a video, a pintrest board, whatever gets you going and start moving. With that being said, there are a few tips that can help you make sure you are getting the most bang for your buck and doing it safely. Make sure that you are moving at least 30 minutes most days of the week. Getting your heart rate up for at least 30 minutes helps with heart health and overall fitness levels. If you can’t do all 30 minutes in one setting break it up into 3 10 min, or 2 15 min bouts of exercise. But make sure at least a few times a week you schedule a full 30 min of getting exercise. Rest days are important. You need to give your body time to recover, so taking at least a day off a week is important. Speaking of rest, sleep is also an important part of recovery so make sure you are getting at least 7 hours of shut eye a night. Drink water. Hydration is also an important part of being able to push your body to workout, if you are not hydrated then working out feels harder. Gatorade and other supplement drinks are not as important unless you are working out for more than an hour at a time and are sweating a lot. Have fun. We are going to end on this note because it is important that you are enjoying what you are doing otherwise you will not stick with it and this is a lifestyle change not a diet! There are lots of options out there find one that you enjoy. It is ok to change and try many different things before you find the workout that works for you. There is lots of information out there about healthy eating and what it looks like. Depending on the source it can be good or bad advice and unfortunately sometimes it is hard to tell one from the other. So here are some easy tips to follow that will help you on your wellness journey. When grocery shopping stick to the outside. The fresh fruit and veggies, meat, and dairy is all on the outside aisles, the processed stuff in boxes, try and stay away from that. Fill your plate half full of veggies and fruit. The more colorful your plate is with veggies the more likely you are getting all the vitamins and minerals you need. Eat more whole grains as opposed to refined grain, such as whole grain bread not white bread, whole wheat pasta not bleached pasta. Drink water. Make sure you are not drinking calories by cutting out pop and other sugary drinks. If water starts to get boring throw in some fruit, veggies, or mint to help spice it up. These are just a few tips to help you get started eating healthy. Try doing them one at a time as opposed to jumping in with both feet and setting yourself up for failure. Slow and steady is how you win the healthy lifestyle race, keep moving forward and don’t let one little stumble set you back to far! It’s that time of year again, making big promises to ourselves that we will never keep. This year will be different though! Instead of the broad resolutions of I’m going to drop 50 pounds, eat healthy and get more sleep make SMART resolutions. S: Lose weight is to vague, to be specific you need to define exactly such as I am going to lose 20 pounds by the end of 2017.-This is also where you will put your plan: Workout 4 days a week and meal plan each week. M: I am going to measure it by losing 2 pounds a month, working out 30 min MWFS, and having a meal planing time each Sunday. A: Totally doable by sticking to a workout and healthy eating plan. R: Is this a good goal for you? Maybe it needs to be inches related? T: Not only do you have short-term, monthly, but also a long-term goal, for the year. Using SMART goals will help you to stick to whatever your resolution is this year. 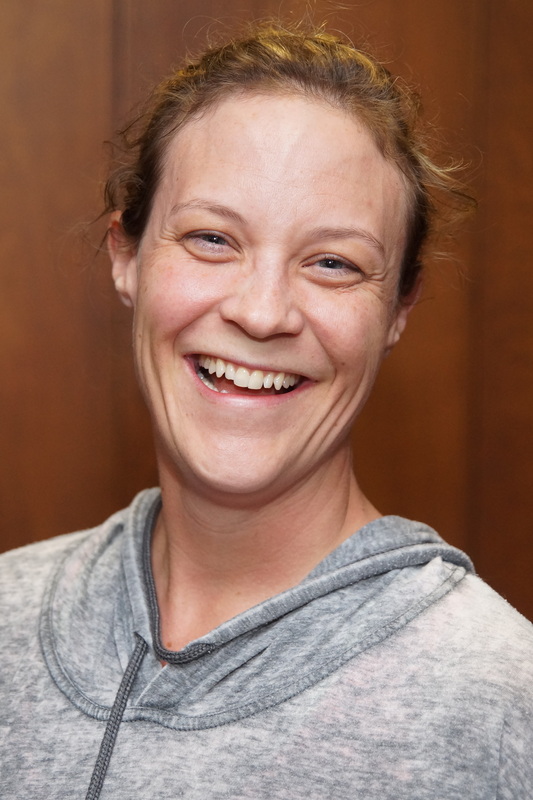 Welcome Candace Davidson as our new Buhler Wellness and Recreation Director! Candace is a Buhler native and brings years of experience in directing and promoting wellness and recreation programs and activities. Best time to buy a One Year Membership is NOW!! This would be a great time to buy a One Year Membership to the BWC! These prices will not last long! Find membership forms in the Membership tab or stop by the BWC and pick one up! The schedule is to begin demolition of the current pool house the beginning of March and pouring foundations of the new facility later in April. Expected completion by the end of the summer! Come and learn from Keri Goetz-Shroyer, RD CDE. Keri is a Registered Dietitian and a Certified Diabetes Educator. She got her nutrition degree from Fort Hays State University and completed an internship at St. Francis Hospital in Tulsa, Oklahoma. She has worked at the Hutchinson Clinic for 20 years and has been instrumental in the development of both the Diabetes Education program and the Wellness program. She is passionate about health and wellness and strives to find practical ways to help people improve their overall health and wellbeing. Keri lives in Hutchinson with her husband, Mark. They enjoy keeping up with the busy lives of their 6 children. We have 31 participants in this year’s “10 Weeks, 10 Pounds” Weight Loss Challenge. Over 85 pounds were lost in the first week! But even more impressive is what we’re gaining: a positive self image, better nutrition, stronger bones and lean body mass, years to our lives…I could go on and on! 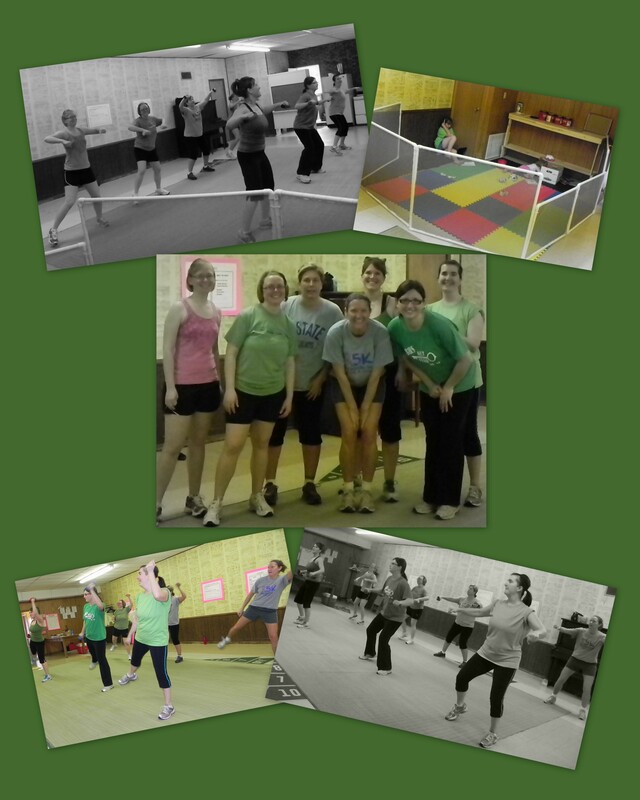 Our fitness classes are booming and we’re having so much fun (right?)! The cool thing about this year’s challenge is that we are all winners. This could be the toughest 10 weeks in our lives but we are working together and encouraging and motivating each other to reach our goals and win the battle for better health! Manage your weight and make healthier choices this year! Our first nutrition class will be this Thursday at the Buhler MB Church! Tina Yutzy will share about how to manage your weight by getting back to the basics and making some healthy changes for you and your family. Class is free for Weight Loss Challenge participants, $3 for the public. Register for the Weight Loss Challenge this Saturday!! We’re going to have so much fun getting healthy in this new year! Fitness classes begin next week, nutrition/weight loss classes are getting lined up, and best of all you can sign up to be a part of the Weight Loss Challenge! The main goal is to lose 10 pounds in 10 weeks, but really, so many other benefits come from exercise and a healthy diet! We will help you get on the right track with classes, personal training and your own health journal! See you Saturday! Register on Saturday, January 9, 8am-12pm at the BWC. Individuals OR teams of 2 can enter the challenge. Weigh Ins: Saturdays: 8am-10am Must weigh in weekly to be eligible for prizes. Challenge will last 10 weeks from January 9-March 19. Nutrition Classes will be offered throughout the challenge! Dates and times to be announced. Journaling: You will receive a 10 week health journal to help you stay on track with your goals and measure your progress. Every participant who loses 10 pounds! Here is the new class schedule! Fitness classes are $1 for members or $3 for non members. Join the BWC Weight Loss Challenge where you will find accountability and encouragement to help you get the perfect jump start to your 2016 fitness goals! Sign up January 9 at the BWC! More details to come! Purchase a gift certificate for $40 which will include 2 months free membership and a key card for 24 hr access. 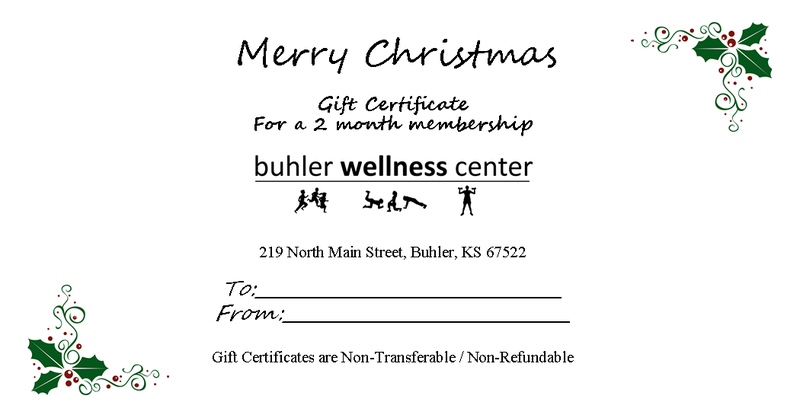 Print off your Gift Certificate or pick one up at the BWC! A great gift idea! 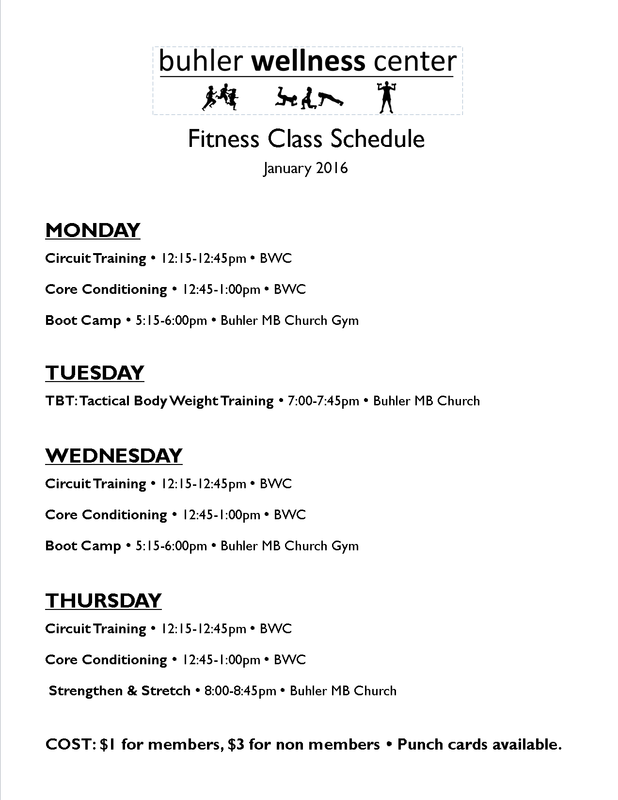 NEW members can join the BWC for the month of December for only $7.50 (Single) or $12.50 (Family). No more excuses! Stay fit through the holidays! Simply download the membership form in the “Costs and Membership Forms” tab and sign up now! You’ll be glad you did! 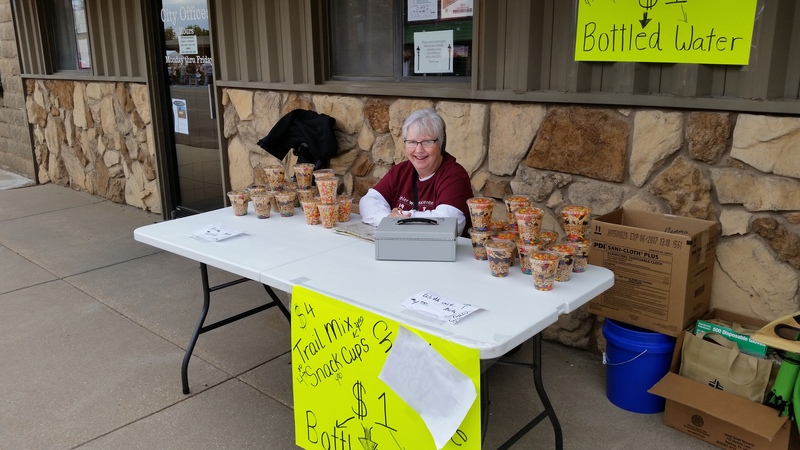 Thank you to everyone who came by for the healthiest snack at Frolic! Our layered snack cups were a hit! A big thanks to Judy Heidi! Judy is one of our new board members and we are blessed to have her on our team! We also had a blast with our tricycle races. See a fun video on our facebook page! As we plan our new Wellness building, we would like input from the community. Anything else you would like to comment on, suggest, or ask about? Just comment to this post! Click the blue ‘follow’ tab (it will change to ‘following’) and new posts will come to your email. Please double check to be sure you will instantly receive email updates – – –Go to – wordpress.com/following/edit and be sure it is set to ‘instantly’ receive messages. If not, click “edit” and click to receive messages instantly; then click ‘close’. A good way to keep track of what is happening at BWC! It is easy to get swept up in the Holiday Season and become quickly overwhelmed. Here are a few tips to help. Drink water. Staying hydrated helps with cravings, brain power, and your energy levels! Don’t skip meals. Showing up starving to the Thanksgiving Feast is never a good idea. Do something active as a family. Start a new tradition of flag football, after Thanksgiving dinner walk, or a snowball fight (take advantage when the white starts falling, never know when its going to happen) . Run a 5K for a good cause. There are several out there for every holiday. Running not your thing join us for Zumba at 8am on Thanksgiving and start the holiday season with a good laugh and workout! Its OK to say no. If you don’t have the time or the desire say no instead of saying yes and dreading the commitment just say no. Breathe. Take time to stop and enjoy the holidays and what they mean. These are just a few tips to help you enjoy this Holiday Season. Make sure to take time for yourself and what you like to do as well. Winter is coming, for some of us it was here when the temp dropped below 70, and it started getting dark at 6. This can be a problem for those of us that workout in the evening or just don’t like to be cold. Never fear there is a solution, and no its not just sit on your couch. Winter is a great time to figure out if there is another form of exercise that you enjoy besides the outside stuff. Now that it is getting dark so early if you are still insisting on running, walking or biking outside make sure that you are visible in bright colors. If on the other hand you would prefer to not run into the pothole and turn your ankle you can bring your workout inside. When it is cold and dark I prefer to bring my workout indoors. When working out indoors there are a few things to know. 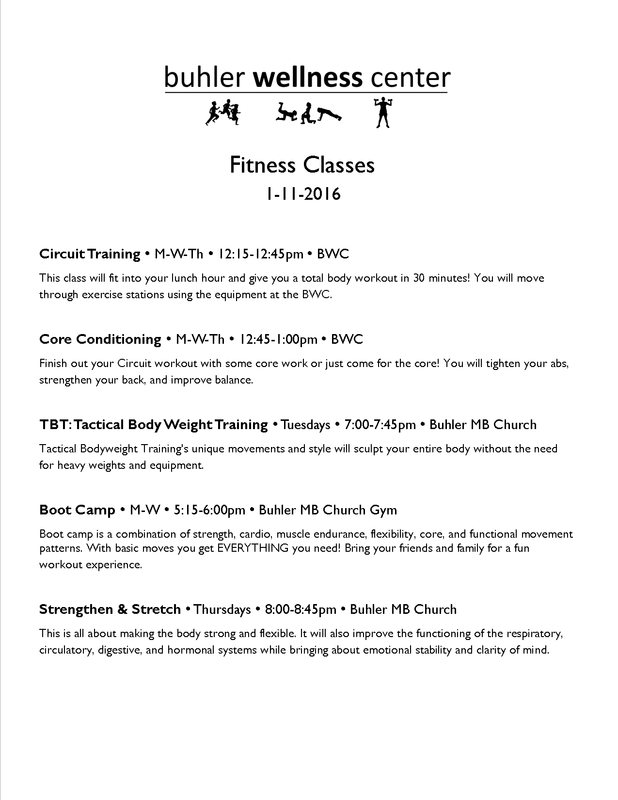 Find a workout you enjoy, now is the time to try out the classes that we offer and see if one of them fits you. Zumba is a fun Latin inspired dance class that will get you moving, and if you are anything like me, laughing at yourself. Maybe Yoga is more your speed we offer a relaxing yoga that you can go home and go to bed after on Thursday evenings. Always wanted to try weights but where not sure where to start? 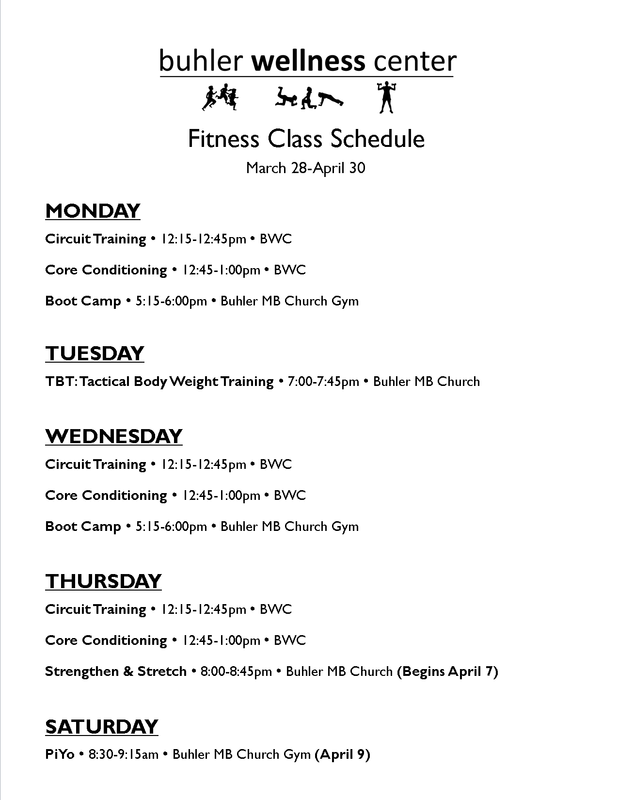 Come check out Circuit Training and learn about all the weights in the gym. Classes not your thing, just want to run or walk, come try out the treadmill, elliptical or Arc trainer to get your heart rate up. Want to try something different for cardio, rowing is a great way work the whole body and get your heart rate up. Want to work your back side come see how many steps you can get on the stair-climber. Still not impressed, want something different or rehabbing from an injury, the pool is for you! The pool is not just for Grandma there are many different ways you can get your heart rate up and work your muscles in the pool. Find a great pool workout on YouTube and come try it out in the water! Changing up your routine and trying out new things whether it be a new workout or bringing your workout inside is always a good choice and this is the perfect time of year to change up your routine!